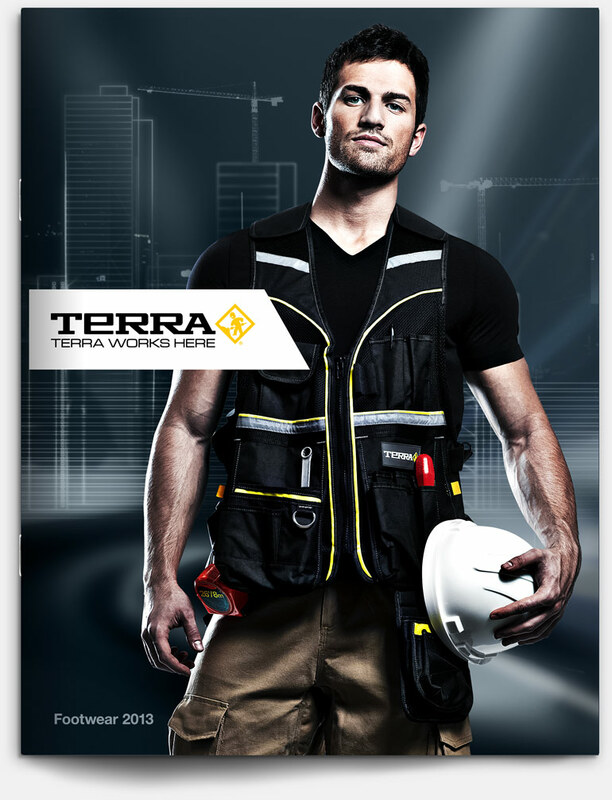 In 2012 Terra were looking for a new brand direction. 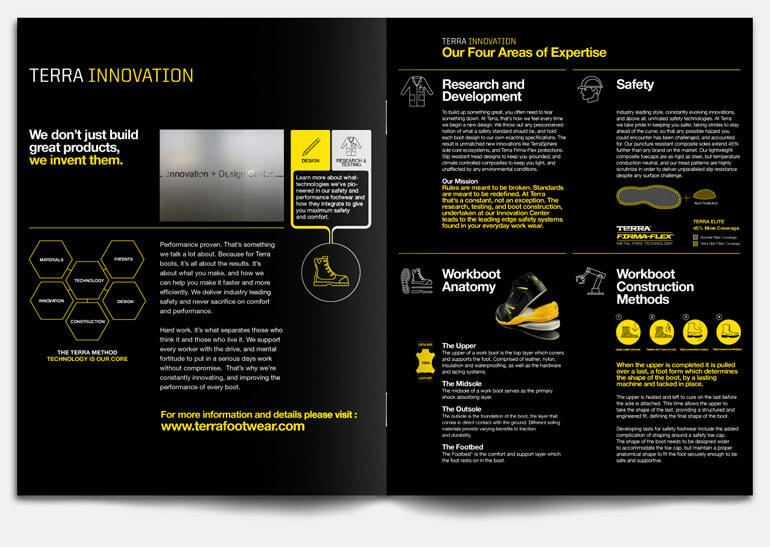 The focus was moved onto their use of cutting edge technology and excellent boot design. 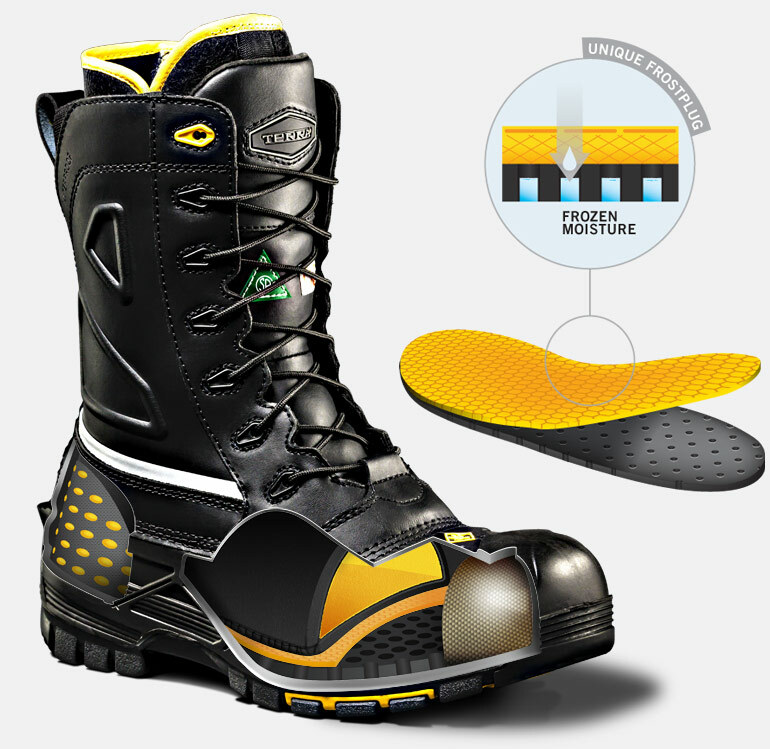 The boots are now presented as high-tech pieces of machinery and highlight the years of innovation and R&D that goes into each one. To complement the new technical direction of the Terra brand I created detailed illustrations, not unlike the ones you may find in a scientific manual. The Terra catalogue also had to reflect the new direction. 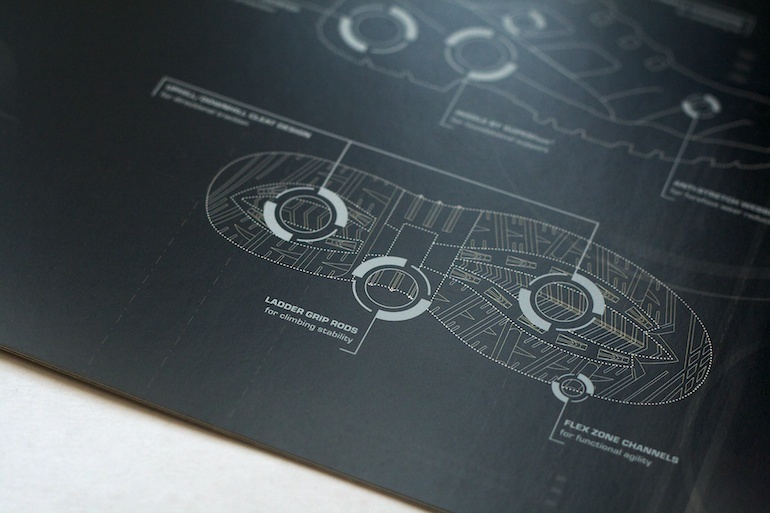 Again I employed visuals that alluded to the hi-tech aspects of Terra boots. Featured photography such as the cover was treated as to appear like a futuristic city. 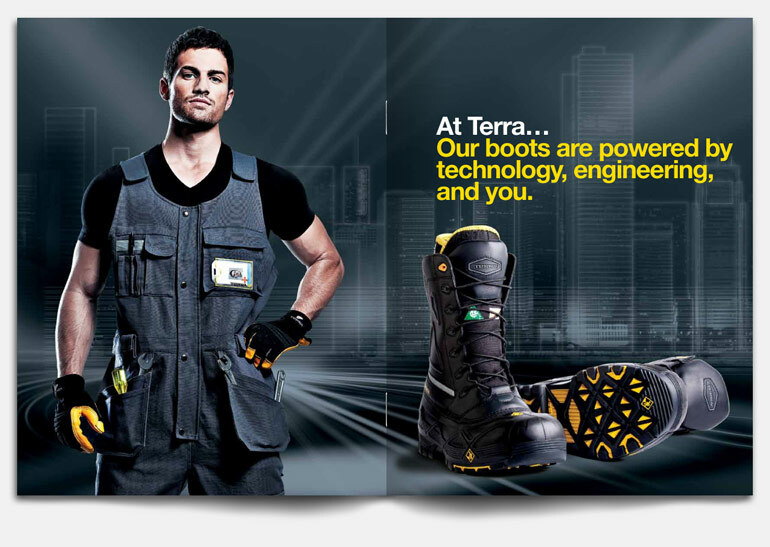 Terra Unity boots are aimed directly at the uniformed services such as the police and security personnel. 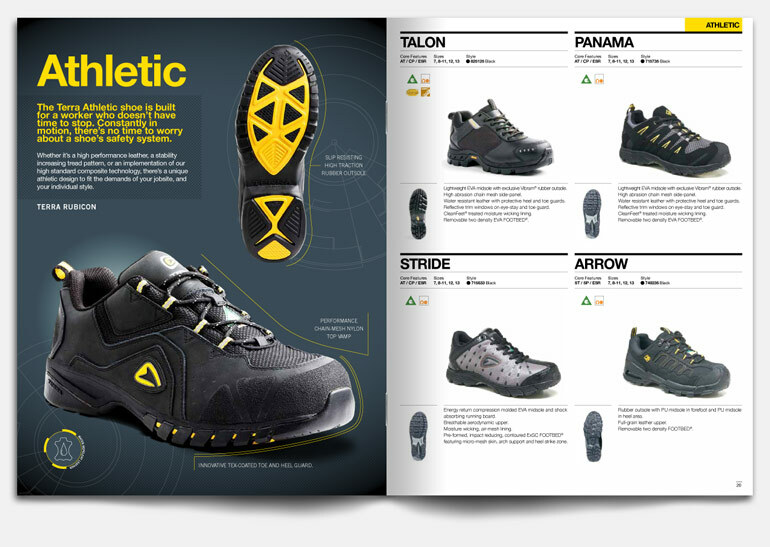 This brochure presented the footwear in the same manner as a high tech gadget. 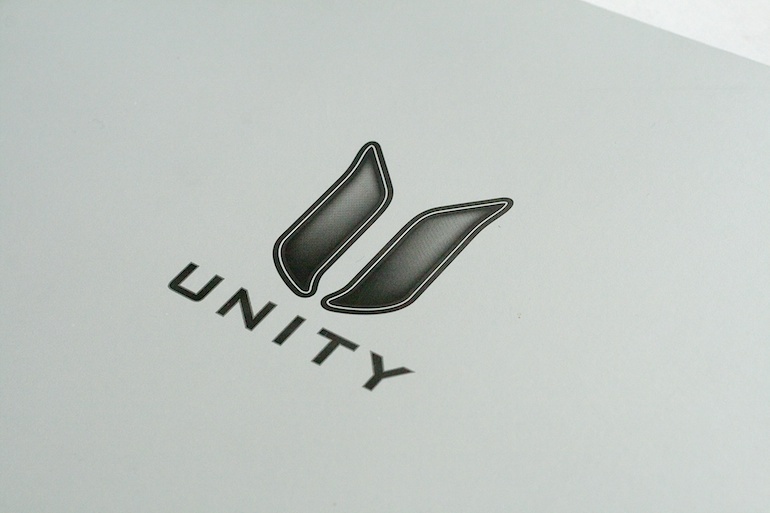 The brochure was printed with an additional silver ink. 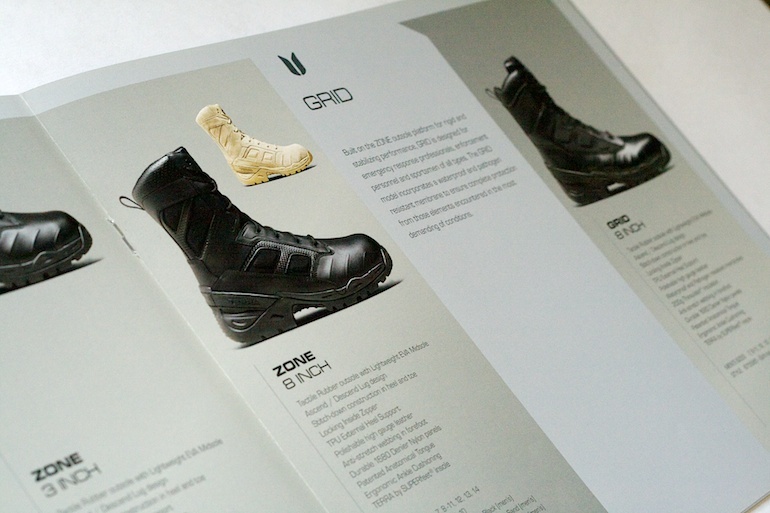 I aslo created packaging and extra materials such as boot hangtags (seen below). Copyright © 2018 Ian Clarke | All rights reserved.